Marsh’s Library is a perfectly preserved library of the early Enlightenment located in central Dublin. Established in 1707, it houses approximately 25,000 books from the fifteenth, sixteenth and seventeenth centuries. 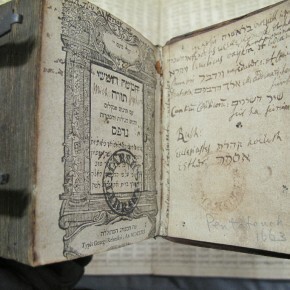 Marsh’s possesses a small, but intellectually significant, collection of almost 200 early Jewish books, which belonged to the founder of the Library, Narcissus Marsh. Most of these books are in Hebrew, but around half a dozen are in Yiddish. – Provide accurate bibliographical details on these books. – Collect copy-specific information from these books using ownership marks, inscriptions, annotations and marginalia. 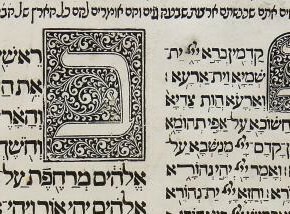 – Research the provenance of the Jewish books in the collection using ownership marks, inscriptions, annotation and marginalia. – Begin the initial planning for a physical and digital exhibition relating to the Jewish books in Marsh’s Library. The details captured by the researcher will be used to improve the catalogue records of Marsh’s Library and to populate the Footprints database, which traces the movement of Jewish books through time and space. This project at Marsh’s Library is intended to draw attention to Ireland as a site of Jewish history and culture, and to the book culture of early modern Jewish communities. It will also encourage scholars to use this neglected collection of early Jewish books, and to link it to other collections of a similar nature. This position is open to suitably qualified scholars, librarians, or postgraduate students. A demonstrable interest in early-modern books, and a good knowledge of Hebrew is essential. Familiarity with Yiddish would be advantageous as would palaeographic skills for early modern hands in Roman and Hebrew characters.Training in cataloguing standards and the handling of rare books will be provided, if necessary. – A contribution of up to €600 towards the cost of an economy return airfare/moving expenses from their home country. If the successful candidate comes from outside Ireland, the Library will be able to assist with orientation in Dublin, and will be able to assist with the details of properties, or rooms in properties, available for short-term rent. If desired, the Research Fellowship may be split into two different periods of residence; however, return airfare/moving expenses can only be provided once. The closing date for receipt of applications is 5.00pm (Irish time) on Wednesday, 1 March 2017. Applicants should send a letter of application and a CV to keeper@marshibrary.ie by this date. They should also arrange to have two references sent to the same email address by 5.00 pm (Irish time) on Wednesday, 1 March 2017. It is envisaged that interviews for shortlisted candidates will take place online in mid to late March 2017. The National University of Ireland, Galway is seeking to fill one full-time, fixed-term Postdoctoral Researcher position for the project “The Reception and Circulation of Early Modern Women’s Writing, 1550-1700‟ (RECIRC), led by Prof. Marie-Louise Coolahan, Principal Investigator (School of Humanities). The position is a 13-month contract, funded by the European Research Council, under the Consolidator Grant Scheme, 2013. The position is allocated to Work Package 1: Transnational Religious Networks. This work package maps the transmission and translation of female-authored texts among Catholic religious orders across Europe. The successful candidate will be expected to start by October 2016. Informal enquiries concerning the post may be made to Professor Marie-Louise Coolahan: marielouise.coolahan@nuigalway.ie. Closing date for applications: 17th June 2016. For further details on the RECIRC project, see the RECIRC website. The Department of History, University of Limerick, is offering one full-time PhD Teaching Fellowship in Early Modern German History. Proposals for projects in the following areas are particularly encouraged: history of education, print culture, Reformation history, urban history. The successful candidate will be attached to the Limerick Early Modern Studies Forum. The Department of History, with UL’s Faculty of Arts, Humanities and Social Sciences, is also offering two three-year fee-waivers only in any area of post-1500 History. The deadline for applications for both the PhD Teaching Fellowship and the PhD Fee Waivers is 29th April 2016. Further details can be found on the Limerick Early Modern Studies Forum website. 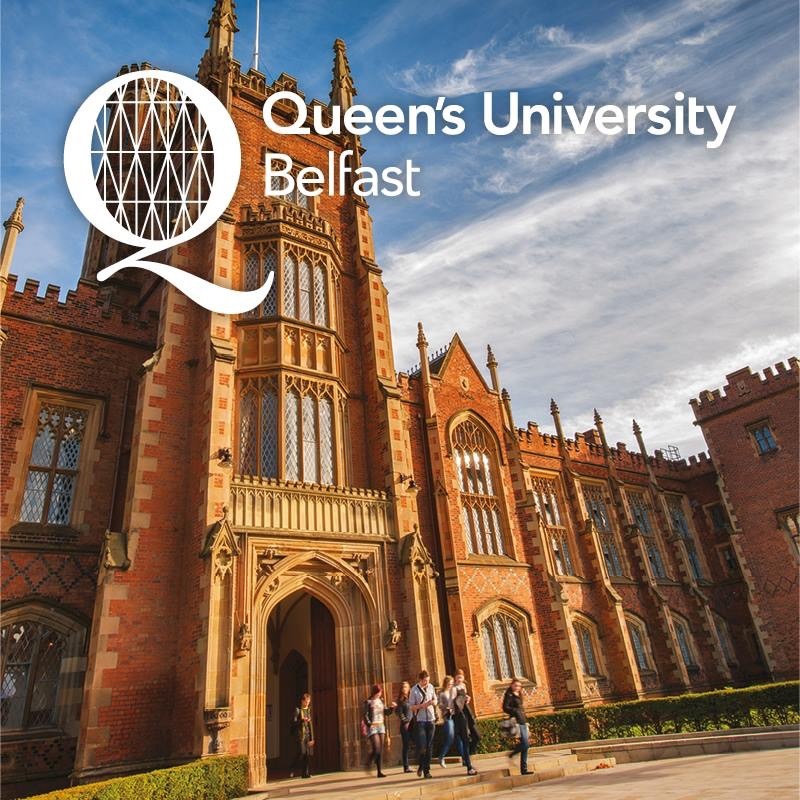 36 DEL studentships are available across the Faculty of Arts, Humanities and Social Sciences at Queen’s University Belfast and will be allocated to outstanding students undertaking PhD study across the broad range of disciplines within the Faculty. The deadline for DEL applications is 29th January 2016. All DEL studentships will be awarded on a competitive basis to outstanding applicants who have: an excellent undergraduate degree; completed, or are due to complete by September 2016, a Master’s degree in a relevant subject; an original and exciting research proposal that will contribute to the further enhancement of areas of research strength in the Faculty. Applicants who wish to be considered for a DEL award should apply for a PhD place in the School of English before the deadline of Friday 29th January 2016, 5pm. Applications should be made via the Admissions Portal. Informal enquiries can be sent to: Professor Moyra Haslett (m.haslett@qub.ac.uk) or the Graduate Secretary Ms Linda Drain (l.drain@qub.ac.uk). Informal enquiries regarding PhD applications in the areas of Shakespeare and Renaissance Studies can be sent to Dr Edel Lamb (e.lamb@qub.ac.uk). 1 full-time position as a Postdoctoral Researcher (12 months); http://www.nuigalway.ie/about-us/jobs/. 1 full-time fixed-term position as a Research Assistant (6 months); http://www.nuigalway.ie/about-us/jobs/. 1 full-time PhD Scholarship (4 years: Digital Humanities/RECIRC): http://www.nuigalway.ie/english/documents/recirc_phd_scholarship_terms_and_conditions.docx. Closing date for applications for the Postdoctoral Researcher and Research Assistant posts is 5th June 2015. Closing date for applications for the PhD Scholarship is 8th June 2015.